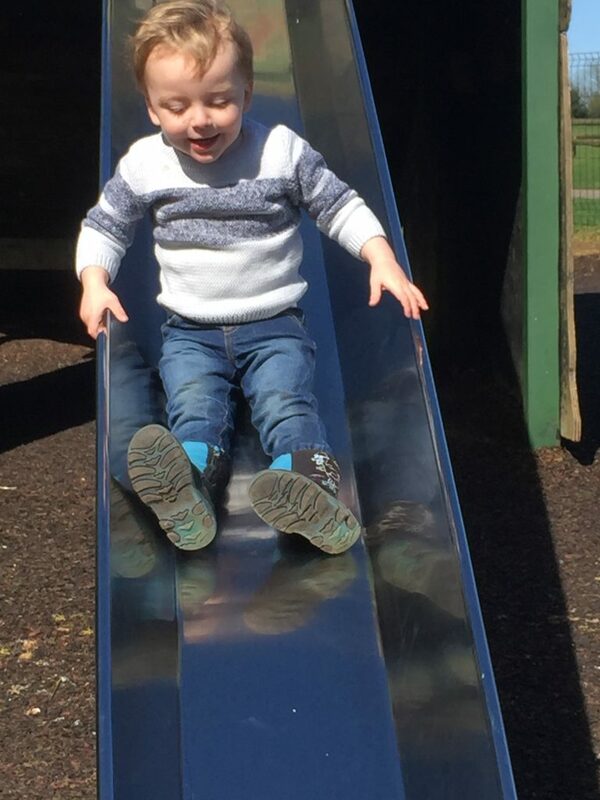 Now that the days are getting sunnier, we’re looking for more things to do outdoors with our little man. As much as possible we’re trying to keep it local – the less time getting there, the more time we get to enjoy outside! 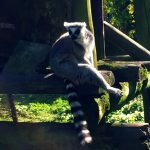 One of the big favourites around here is Fota Wildlife Park. 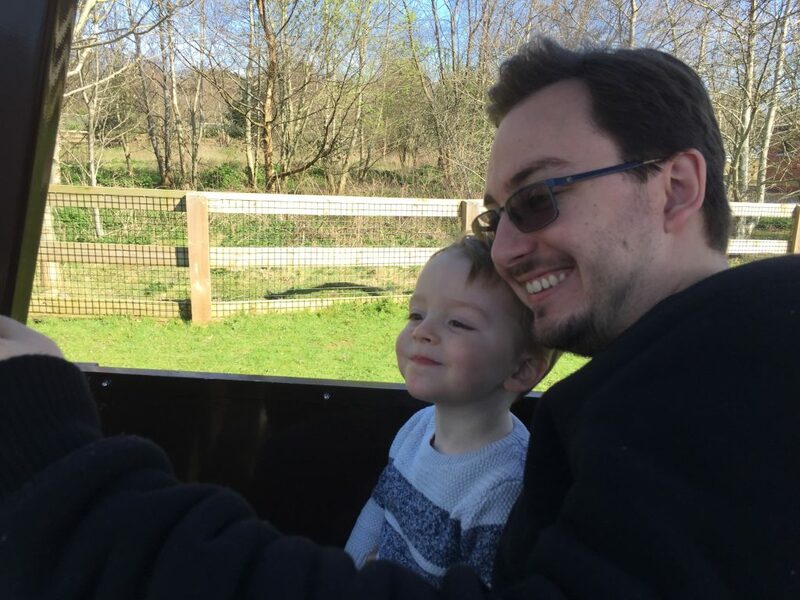 So, when the weather was beautiful the day after his third birthday, we decided there was no better way to celebrate as a family. 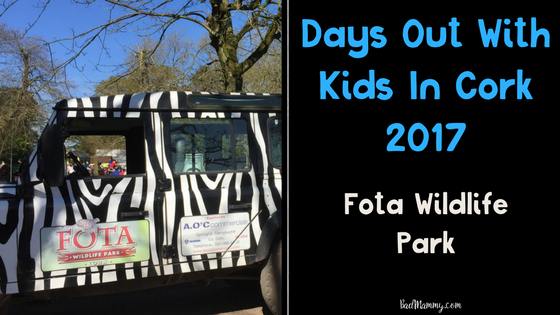 We drove out to Fota Wildlife Park from Cork City, taking about 20 minutes. Normally we’d go on the train but as there was uncertainty about the availability of trains due to strike action the previous day, we thought the car was the safest option. It cost €3 for parking for the entire visit, and parking was plentiful. 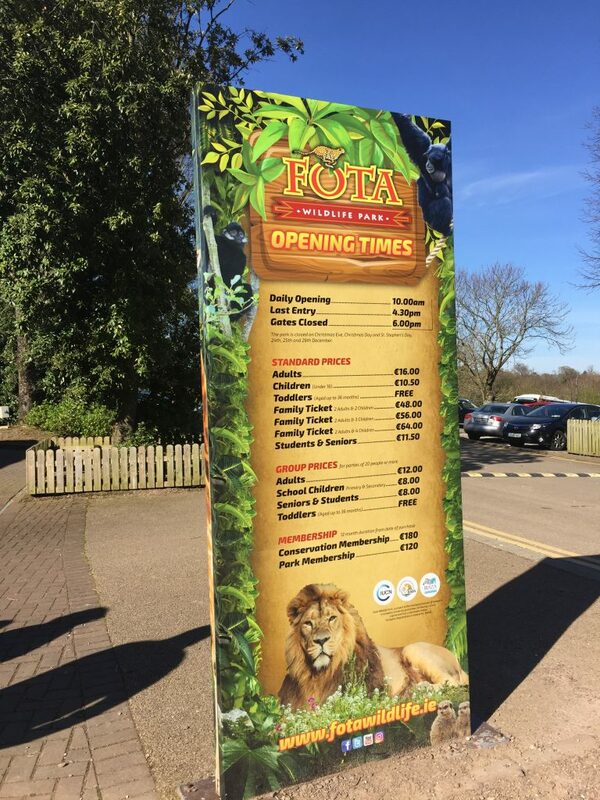 The parking fee goes towards the running of the Fota House & Gardens grounds, which is adjacent to the Wildlife Park and well worth a look in its own right. 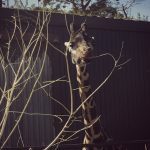 Eliott is a big fan of animals, he’s loved previous visits to Fota Wildlife Park and was very excited about this one. 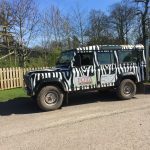 The park itself is 100 acres and contains every kind of animal you can think of, from Rothchild’s Giraffes, to Zebras, to lemurs and tapirs. It’s great being able to get up close to the animals and see them wandering freely. There were a few moments of persuasion that the zebras were not cows, not to mention the Gruffalos (Buffalos), but for a lot of it, he knew the animals. The day we visited there was a Beavers Go Wild event on in the park so there were Beaver Scouts EVERYWHERE. However, it still didn’t prove difficult to get a seat in the cafe for the essential sit down around lunch time, or to see any of the animals. The only place it really affected us was the playground by the train station entrance – Eliott was definitely the small fish in a massive pond there! There are a number of playgrounds dotted around the park, with different age recommendations (not that E really obeyed many of those, he was well able!). Great for when you need five minutes break from the walking around! While initially we did a bit of a walk around the park, we had been eyeing up the Safari Train as a method of getting around. For a euro each, we got to enjoy the animals while sitting down, which given we’d forgotten to bring the buggy, was essential. I think it also added to the novelty of the whole thing for the birthday boy, which was great. The wait for the train was a little frustrating, it seemed that we’d just missed one so were waiting over 20 minutes for the next one. That’d be fine if we knew what times they were due, but with a three year old who likes to always be on the go it wasn’t ideal. Signage to estimated times of arrival instead of just “every 20 minutes” is definitely an improvement I’d like to see. We made a point of heading over to the Cheetah run at feeding time (12.15) as we knew we weren’t going to be around at 4pm for the second one. 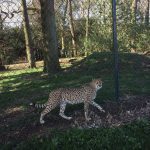 While it was crowded, we still managed to get a great view of the cheetahs running after their food – even if there were a few false flags with the rope getting caught in itself. Our visit to the park lasted about three hours – and that was down to us having plans for the afternoon that involved birthday cake. I have in the past stayed a whole lot longer, obviously it depends on the age of the kids and just how much stamina you’ve got, but it can either be a few hours or a whole day trip. When the weather is glorious, as it was the day we went, people tend to make the most of it and picnic in the various designated areas in the park. You’re free to bring in whatever food you like, as long as you don’t feed the animals – they’re on special restricted diets for a reason, and for safety reasons it’s best not to (the park will remove you if you do). If you’ve not brought a picnic yourself, there are a couple of different eateries in the park where you can buy food. Savannah Café is located by the main entrance, close to the Meerkat exhibit as well as the Park’s largest play area. It serves a variety of snacks, sandwiches and hot meals throughout the day. The Café also has a hot drinks menu and a selection of treats, with seats both inside and outside of the cafe. 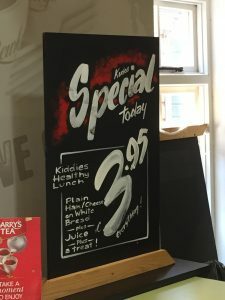 The Oasis Café is situated at the opposite end of the Park (near the Irish Rail station) and has a range of hot food options including burgers, pizza, chips and nuggets. There is a large Picnic & Rest area nearby with plenty of benches and trees for shade when the sun shines. This is also super close to the penguins, flamingos and monkey exhibits. Prices are reasonable enough and there is a mix of healthy choices and more junk food (chips & whatever) choices. 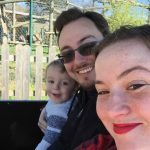 I’m a fan of their Kids Lunch Meal, we’ve gotten it for Eliott a few other visits, and it’s just enough for little ones – a small sandwich, a piece of fruit, a drink and an Animal Bar (of course). 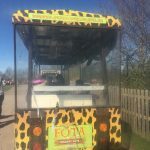 While during our visit the ice-cream stands were not open, it is something I’ve noticed in previous visits, so be aware that they’re in random spots around the park and may cause puppy-eyed looks from kids! 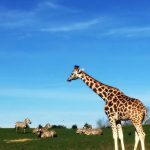 A visit to Fota Wildlife Park is something I would always recommend to families or groups of friends who want a fun day outdoors. It’s so close to Cork City but is something so completely different, it’s a great getaway from reality. If you’re an animal lover, you’re sure to love it. 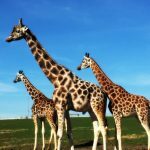 Tickets for Fota Wildlife Park are €16 per adult, €11.50 for students and the elderly, €10.50 per child aged 3-16 and free for under 3s. 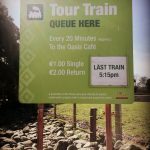 Family passes are available to save money on your trip; for 2 adults and 2 kids it’s €48 (saving 5 euro) , 2 adults and 3 kids is €56 (saving 7.50) and 2 adults, 4 kids is €64 (saving €10 – pretty much one child goes free). It’s not the cheapest day out but as I’ve said, it can be the whole day filled with fun and great experiences and I’d highly recommend it. Now that Eliott is getting older we’re looking at getting a conservation membership for €180 annually. For us, thats the same as four visits, which we would likely do (and more) within a year. It also allows us to bring others with us – the membership allows a number of combinations including two more adults and another child, or another adult and up to four kids, great for playdates. 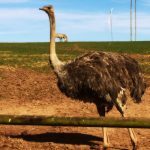 For next time, we’ll be sure to bring the buggy with us – rookie mistake on our part, it is a LONG walk for little legs and we wound up frustrated with lack of speed on the toddler’s part. We’ll definitely be leaving more time too – much more time to check out all of the animals. They’re looking to increase the amount of species and areas they’ve got over the next few years too, so it’s definitely a watch this space. We will definitely be back for more! 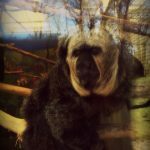 Disclaimer: Fota Wildlife Park very kindly offered a family ticket for our visit in exchange for an honest review. We have not received any further form of payment and all opinions are our own.